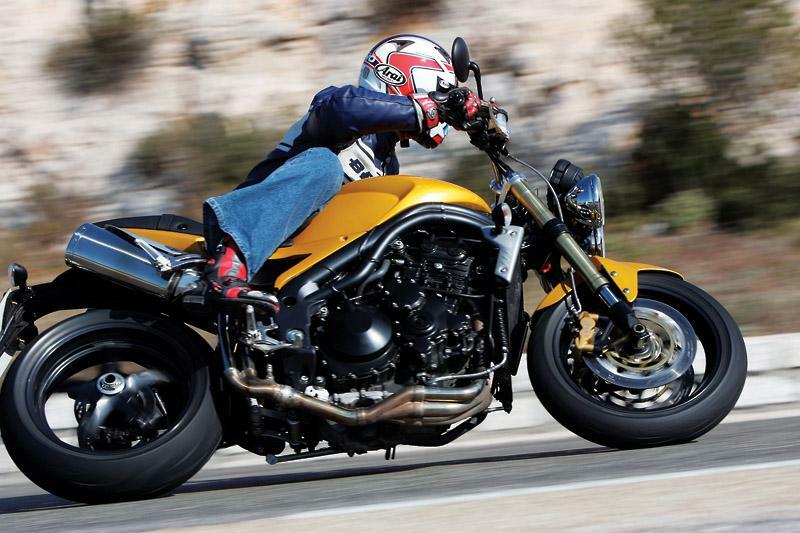 Click to read: Triumph Speed Triple owners reviews, specs and image galleries. Streetfighter. Now there’s a funny name for a class of motorbike. Most groups of bike have a name related to what they do. Tourers, sports-tourers, sports bikes, adventure sport bikes; they’re all pretty obvious. But ‘streetfighters’ do not fight in the streets. Originally they were crash damaged sports bikes put back on the road with high bars and minimal bodywork so they are born of violent events on the road. They are all about an in-yer-face attitude. The bold, upright riding position is normally backed up with a loud pipe and the right riding gear, typically a Simpson lid. 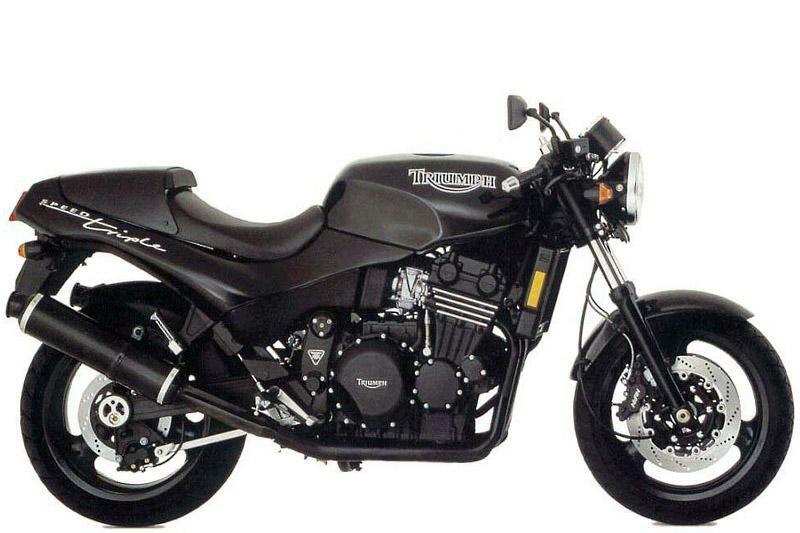 Regardless of where the name comes from Triumph was the first company to make a factory streetfighter. And their current range – the smaller Street Triple and larger Speed Triple - are the best bikes in their classes. We haven’t included the earliest Speed Triples in this article because they’re so rare. We heard recently the original single headlight model is actually appreciating in value now with high demand for clean bikes in Japan. This guide focuses on the tubular aluminium frame, twin headlight models sold from 1997 onwards. They’re still pretty true to the original streetfighter mix – a sports bike minus bodywork with high bars fitted. They’re rapid machines until the point when the wind blast becomes a pain, they’re pretty comfy for distances, they stop go and handle almost as well as sports bikes (only weight distribution and lesser ground clearance hold them back) and they’re the most fun bikes to ride on the road, bar none.